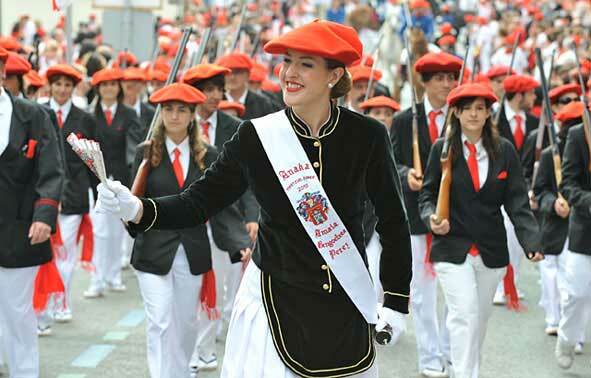 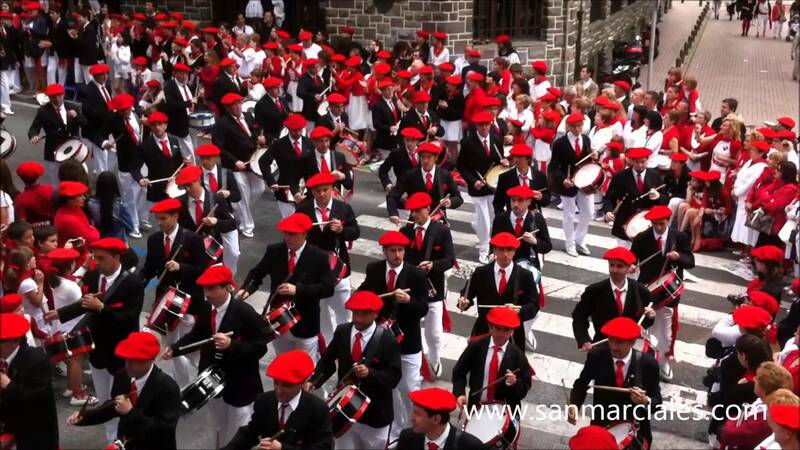 Berets, or "Txapelas", in bright red are a Basque trademark. 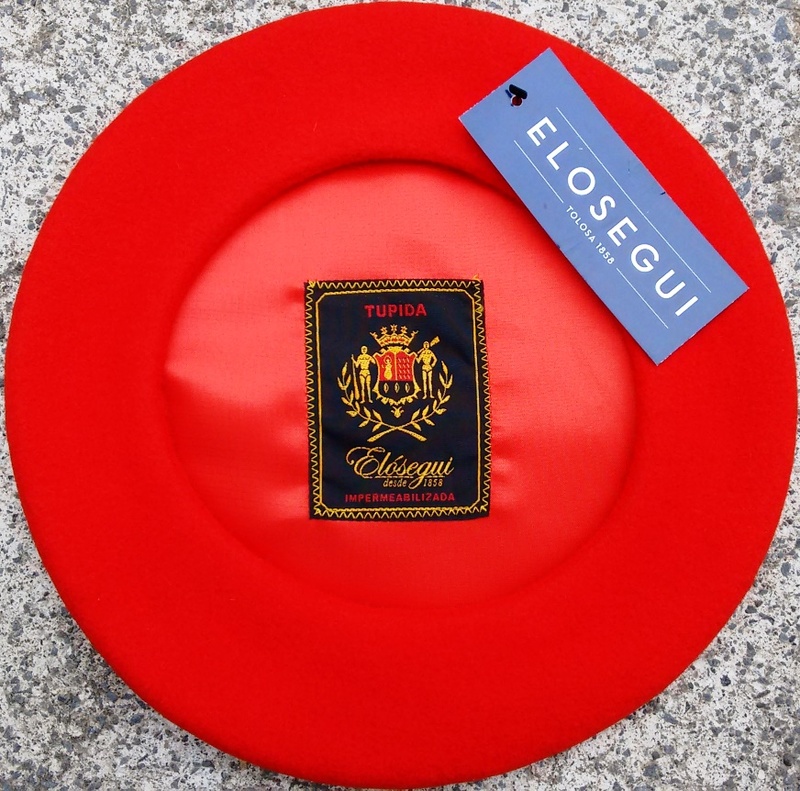 During the dark times of the Carlist Wars, the red txapela was worn by the ultra-conservative catholic Carlists, but over time, the red txapela has been adopted by Basques (and Spanish) of all political and religious backgrounds as a beret to wear during the many Basque and Spanish festivals. 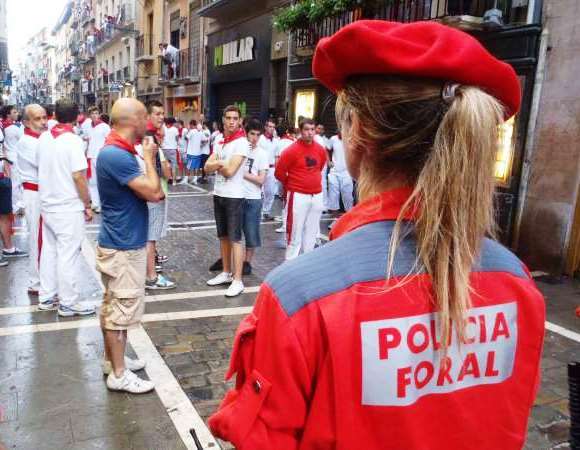 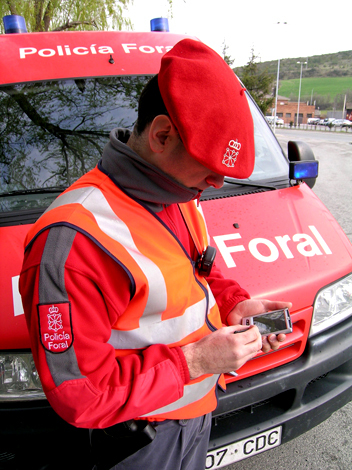 So strongly do the Basques associate with the red txapela that it is even part of the national police (Erzaintza) uniform. 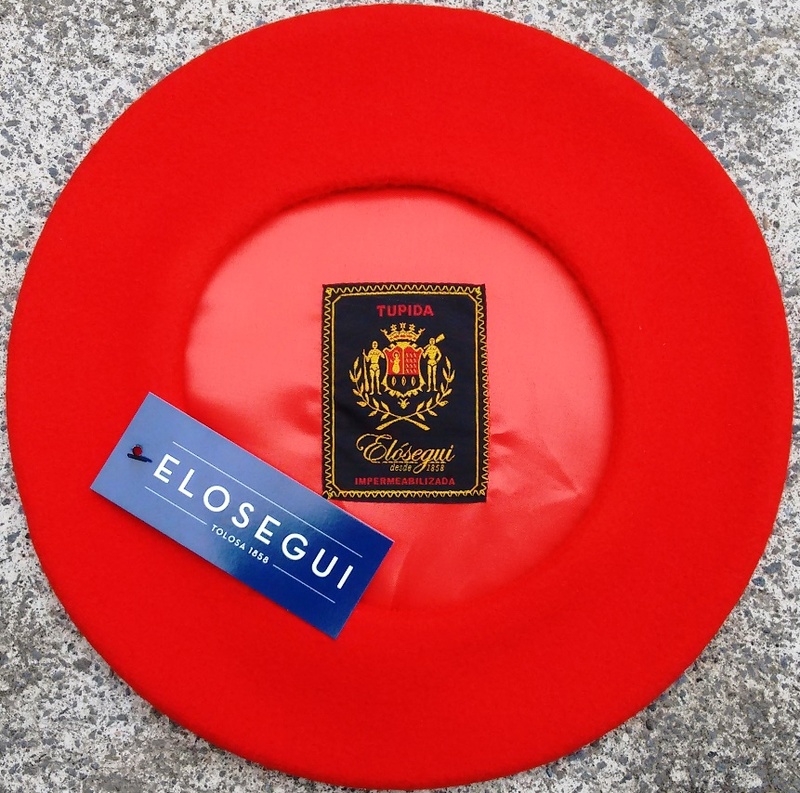 South Pacific Berets stocks the large 13.5 (or 314mm) model, carrying the Elósegui Tupida label; berets of tightly knit Australian merino wool ('tupida' meaning 'tight', 'dense' in Spanish); impermeable and of a fantastic soft and comfortable quality.